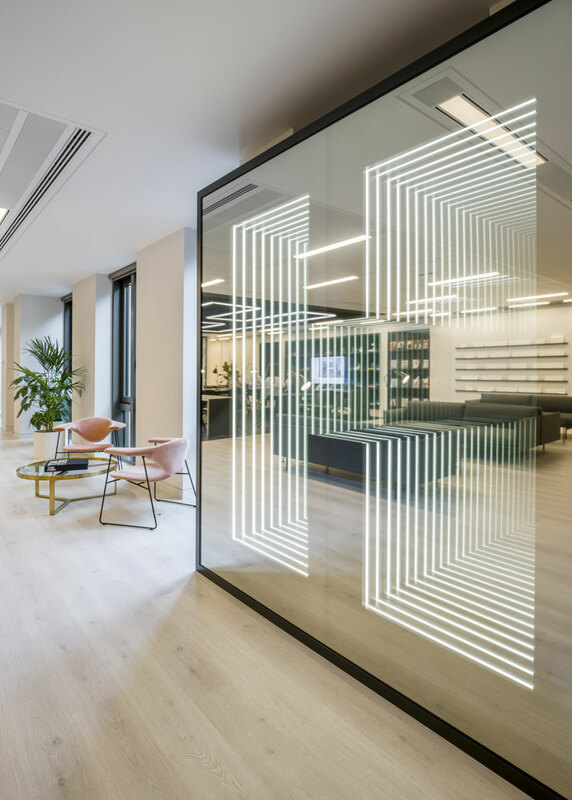 Gensler has designed the space in central London with the aim of encouraging “integration” between teams and highlighting the brand’s heritage. 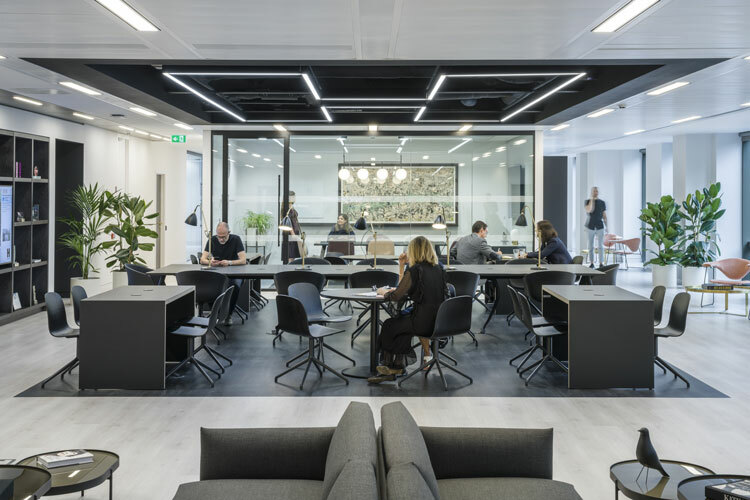 Design and architecture studio Gensler has worked with magazine publisher Hearst UK, to create new offices for the media company and bring all of its brands into the same building for the first time. Hearst UK, which publishes titles including Elle, Cosmopolitan and Harper’s Bazaar, was previously located in two separate Soho, London offices. 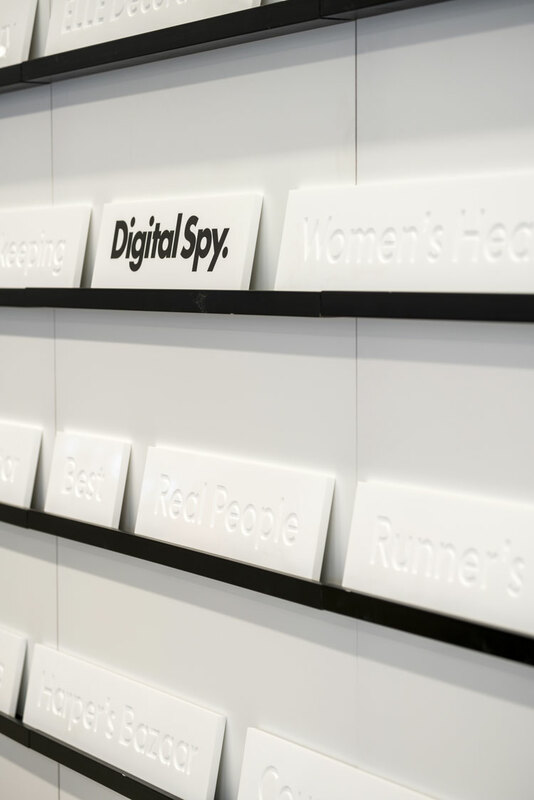 All of its media brands have now moved in together in a newly designed space spanning five floors in Leicester Square, London. The media company briefed Gensler to create a space which encourages collaboration and showcases the businesses’ heritage. 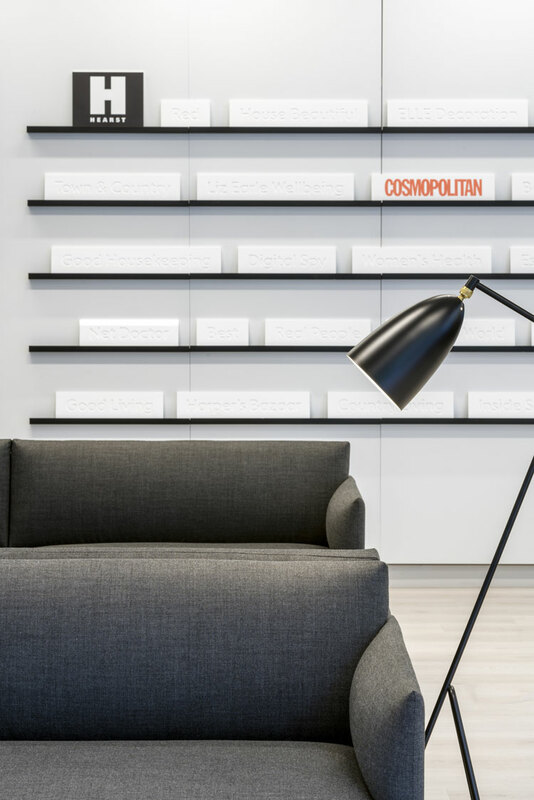 “Our goal was to drive integration and collaboration among teams and support cohesion and equality between brands,” says Christopher Crawford, senior designer at Gensler. “For us this project was much more than a physical build – it was about creating culture that works across the entire Hearst family,” he adds. 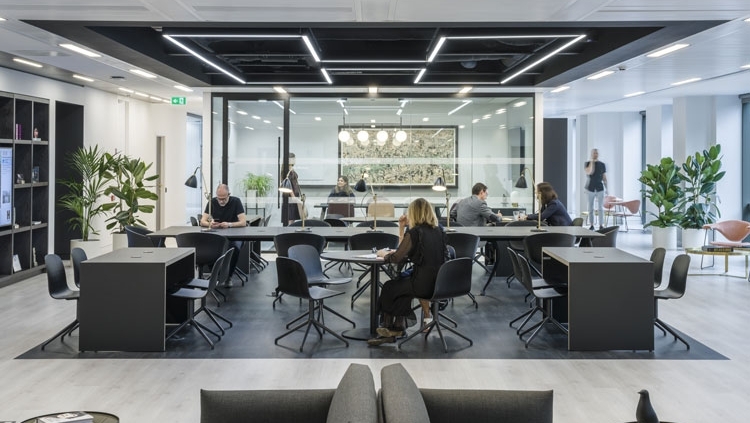 The open-plan design for the newly named House of Hearst, includes a multitude of spaces for people to step away from their desks, work together or socialise, including a “flexible” reception area, central meeting suite, dining area and library space. 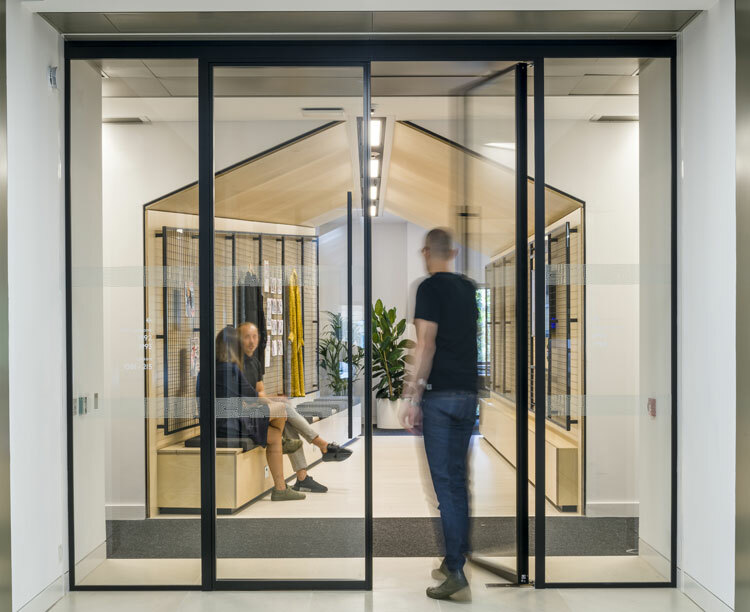 Meeting rooms have been moved to the centre of the space, allowing for desks to be placed around the outside, both letting in more light and creating better views, according to Gensler. Areas have been designed for the creation of mood boards, which Crawford says are “an important part of Hearst’s creative process”. 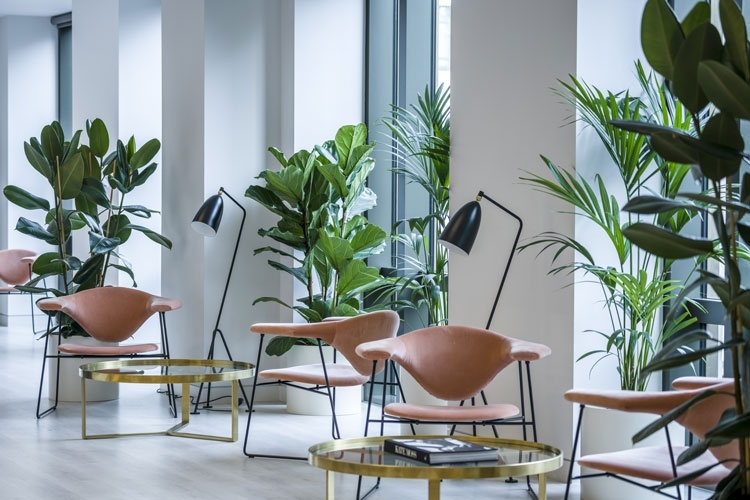 Light wood panelling has been combined with black furniture, grey sofas and light-coloured walls, throughout the office, and lots of plants have been introduced. 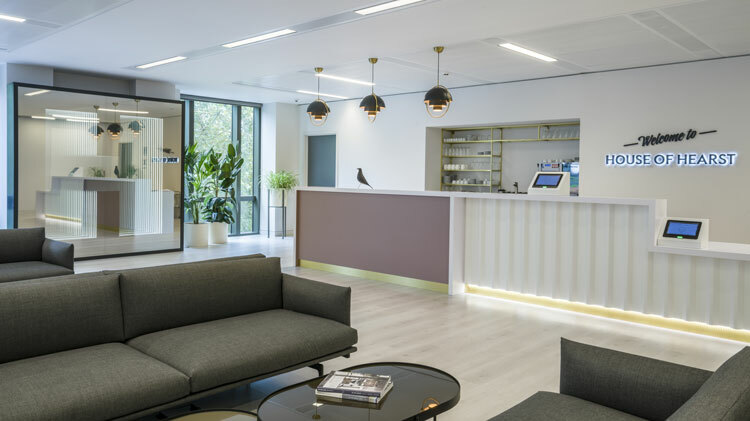 Crawford says the studio has aimed to use colours that are “timeless, bright and sophisticated” and to bring a “residential quality” to the space, creating a “calming” atmosphere. As well as traditional signage, digital signs are used in the building, which Crawford says allows Hearst to choose whether to keep a space neutral or add “brand specific personality” when needed. “If Elle was hosting an event, for example, the space can be transformed to highlight the colours, tone and feel of their brand,” he says. Key design features include a plaque wall, with the branding of each of Hearts’s publications engraved on a plaque, as well as “portal” corridors. Hearst’s “H” logo appears throughout the building in various forms, for example, made out of lights inside an infinity mirror. A library has been filled with back-copies of Hearst publications and competitors titles and also contains digital content, as the company takes steps to become paperless. Hearst UK has now moved into its new office.